There is an old saying that when the student is ready the teacher appears. For this season of my life that teacher is JT Foxx and his team of coaches. I have had many teachers in my life – some academic, some spiritual, others personal. JT is my first business teacher because this is the first time in my life that I have set my sights on building my own business. This desire for a business of my own has been percolating for decades – specifically for an international speaking business. I have a gift for communicating and have wanted to use that talent to build a business of my own – largely to prove to myself that I can. To follow this dream, I left full time employment and within a month of having done that the opportunity to attend a JT Foxx one-day seminar presented itself. I was sceptical when I first saw JT’s ad on Facebook about creating women speakers as I wondered what a brash young American man could teach an older woman about being a female speaker. However, when a friend sent me a link to the same event I decided that perhaps this was a sign and I registered. Armed with a large notebook I travelled into Melbourne’s CBD and joined a few hundred other people for a day that would mark the beginning of something totally new and unexpected. It was not long before I realised that JT would be offering opportunities for further coaching that would not be free and I mentally set a monetary limit. There were several offers made and the top option – the one that excited me the most – fell within my limits so I went for it. This was a surreal experience as it was the first time I had spent a significant amount of money on myself, but it felt so right – and my instinct did not fail me. Within three months I received intense business coaching, laid the foundations for a business model, travelled from Australia to the US and presented my business to an international audience in Los Angeles – and topped it off by spending some time with Al Pacino and gaining from his wisdom. As a result of that presentation I established a business partnership with a younger entrepreneur couple in the US. In the space of just three months, I had achieved my dream of being an international speaker and had a burgeoning international business. One of the things that characterises JT and his business is a spirit of generosity. Even if I had not opted to purchase the business coaching I would have walked away from that first free seminar a richer woman, as I took over 20 pages of notes from the dense content presented by JT and his team. Another thing that is very important to JT is being genuine and authentic. I hadn’t heard of JT Foxx before that first seminar and went with a healthy dose of scepticism – Aussies do not easily respond to US-style hype. The moment I realised that JT was ‘the real thing’ was during a clip he played of the time Vanilla Ice was a guest at one of JT’s functions. JT was decked out in a US-flag onesie and as he pranced around the stage an expression on his face reminded me of my sons (I have three adult sons, the eldest of which is only a couple of years younger than JT). I thought, ‘He’s just like my boys’. In that moment of silliness, JT convinced me of his authenticity and I knew I could trust him. And that trust has never been misplaced – he and his team have delivered on everything they promised and given so much more. 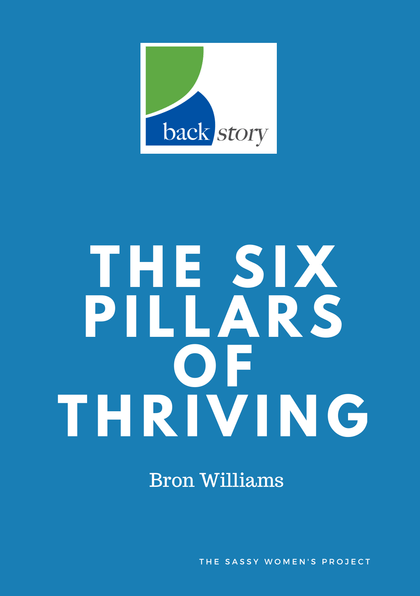 I now have a growing speaking and coaching business helping people turn their backstories into real power for the future. I have published my first book. I have learnt the importance of consistency in branding and how to market myself and my services. I have been taught by generous and knowledgeable coaches and met inspiring business people from around the world. My life is so very different from anything I ever imagined. Another truism is that no-one is self-made. In this journey to international speaker many people have played a part – friends, family and business associates. I have been encouraged, challenged, loved on, picked up and dusted off. My business sprang out of a decades-long dream but it has been given shape by JT Foxx and his team, and I am conscious of what I owe to him. But it is his tag-line of ‘Powered by your Success’ that sums up JT’s attitude to business – he helps others because he knows that together we can achieve our dreams. WOW! Amazing story! I hope to see you at FR3! I am glad I ran across and read your story.